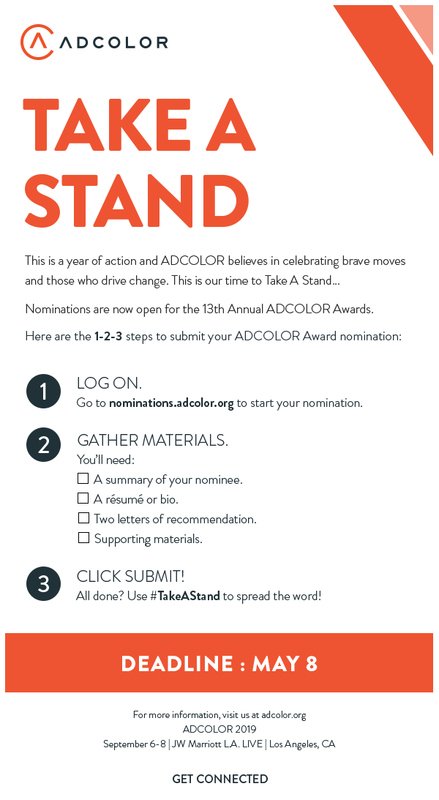 Who will you nominate for an ADCOLOR Award? Copyright © ADCOLOR, Inc., All rights reserved. www.adcolor.org | Rise Up, Reach Back.